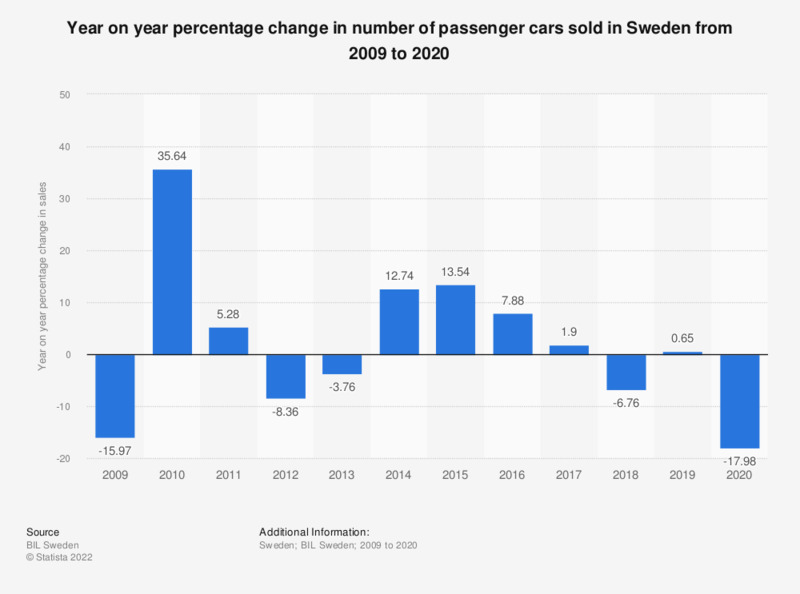 This statistic represents the growth in the Swedish passenger car market in terms of year on year percentage change in the number of cars sold from 2009 to 2018. The number of passenger cars sold in 2010 had increased by over 35 percent from 2009. This was followed by a decline in 2012 and 2013 until the market returned to growth in 2014. The sale of passenger cars in Sweden in 2018 was 6.76 percent lower than sales in 2017.